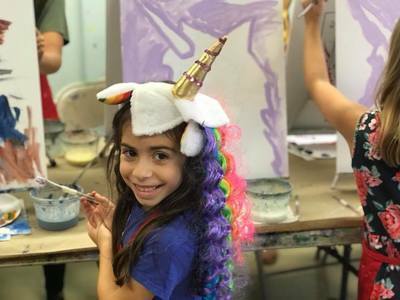 Around the Corner Art Center - Art Class Features & Step-by-Step Tutorials! This month we are featuring Lynne Fata. 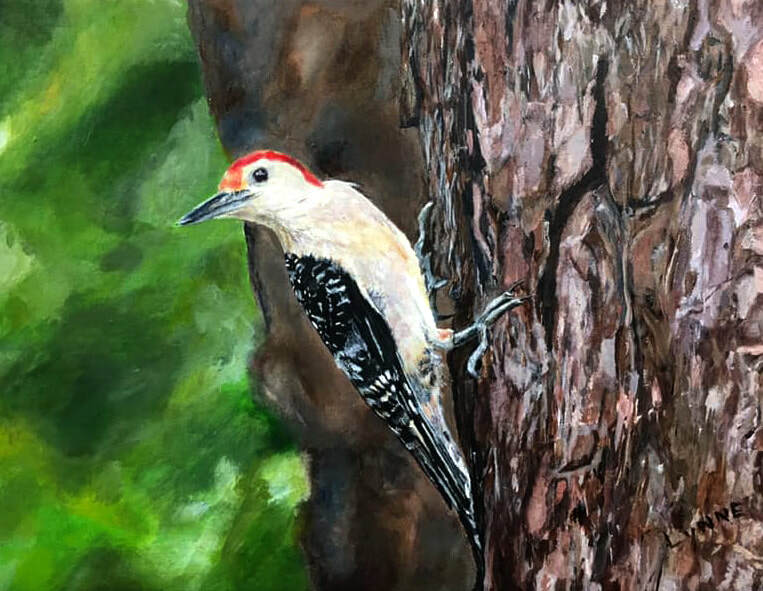 Here are a few words she has written about her piece: This redbellied woodpecker (male) was a visitor to my garden last fall. 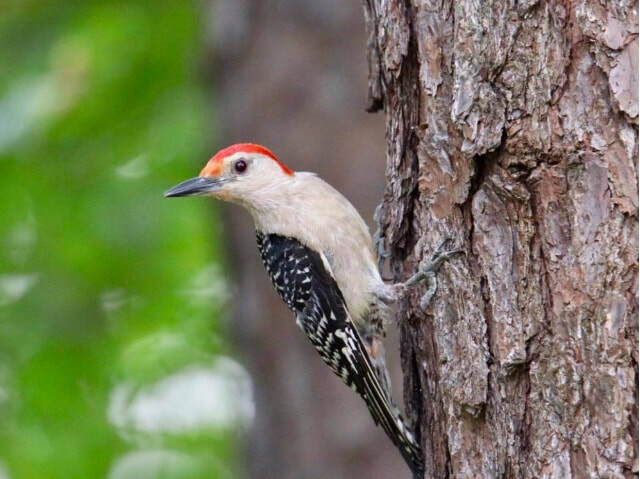 As he took some breaks from drilling for his breakfast, I was able to capture him with my lens. 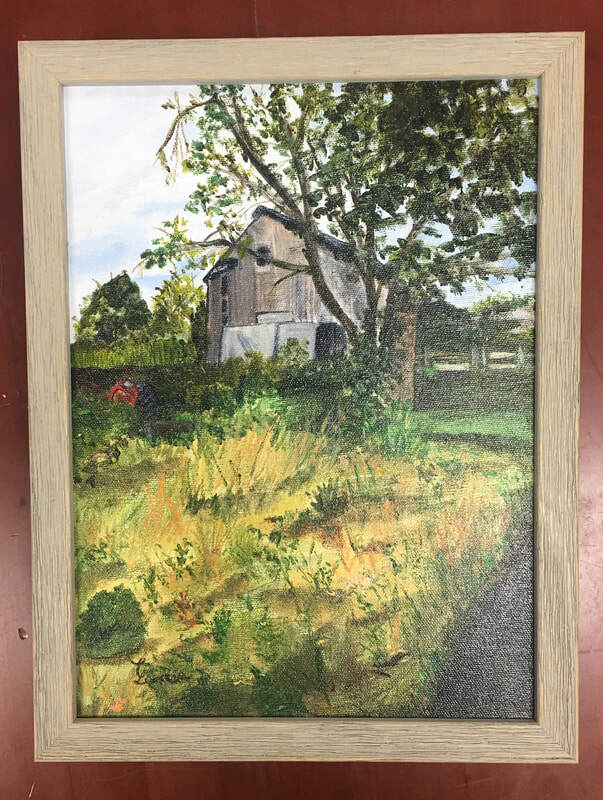 The composition, color and texture of the resulting images compelled me to create this 9x12 inch painting, highlighting the same “narrow depth of field” that is seen in the photo. For all artists, it is so important to always be searching for inspiration in the world around us. Interpreting photography into paint really does bring the subjects to life. Keep your cameras/phones nearby and start snapping! Each month we will feature a different artist/student. This month we are featuring Sue Peckman. On a family trip to the Pacific Northwest, she shot a photo of the Cowlitz River Bridge on I-5 in Washington State. She altered the colors to offer vivid contrast. Susan loves bridges, in both the utilitarian and metaphorical sense. They help us get where we are going and they signify unity. 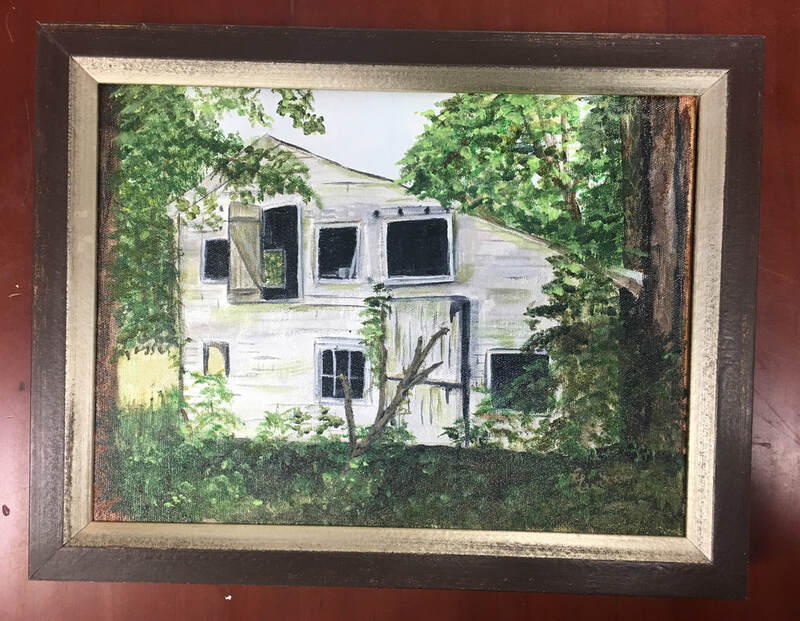 Each month we will feature a different artist/student. This month we are featuring Terry Gross. Below are a few words she has written about her inspiring piece. It is important as artists for us always to be seeing and appreciating the world around us. We can share our point of view through our paintings. Learn about Your Art Supplies! This week, we are highlighting some art supplies that we think are extremely useful that you may not have used before! All materials below can be purchased at our store in Freehold. We always teach our students to use blending stumps with drawing with pencil or charcoal! These paper tortillions are more precise than using your fingers to smudge a drawing and give it a smooth, realistic finish. Sometimes when you are shading a drawing, especially a large one, constantly sharpening your pencil can get annoying! 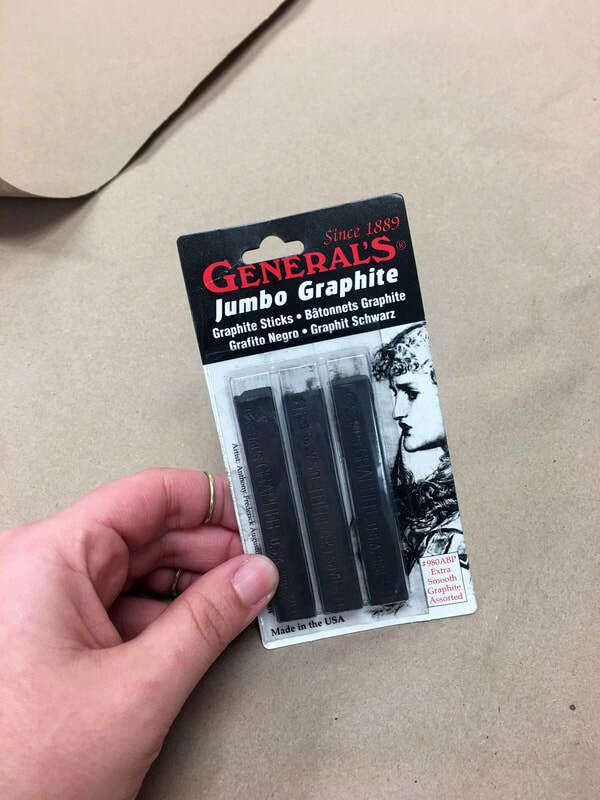 The perfect solution is using one of these jumbo graphic sticks! They never need to be sharpened, and can really speed up the shading process. This tool is always popular with the kids. 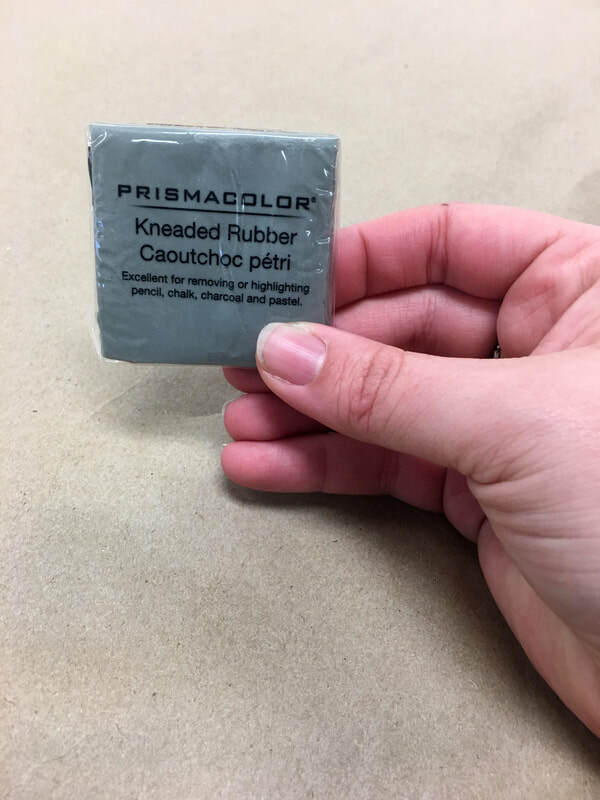 Kneaded erasers are fun to play with, because they can be molded like clay, but they are also an extremely useful tool for erasing small spaces. The eraser can be shaped in any way necessary to erase out small areas. Also - they don't leave any dusty shavings behind. 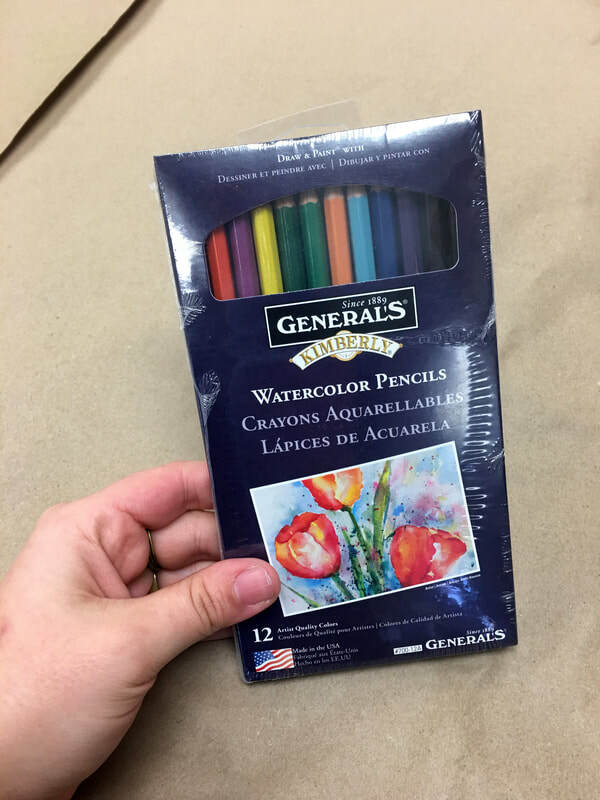 While we still love classic watercolors and colored pencils, these watercolor pencils are the perfect combination of the two! It is much simpler to color when you want, and then blend with a paintbrush and water! Did you ever see paintings in a museum that look 3-Dimensional? 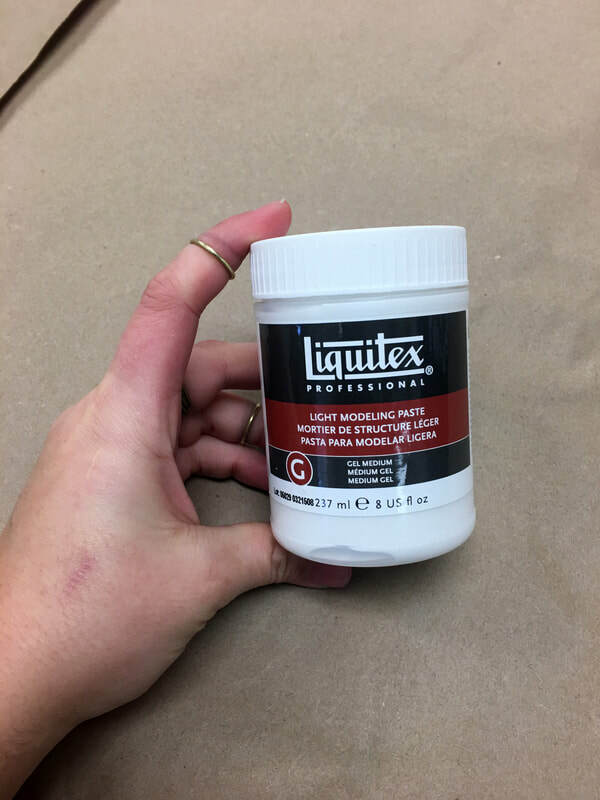 Using this modeling paste, you can make texture on a canvas before painting it to get the dimension you desire! 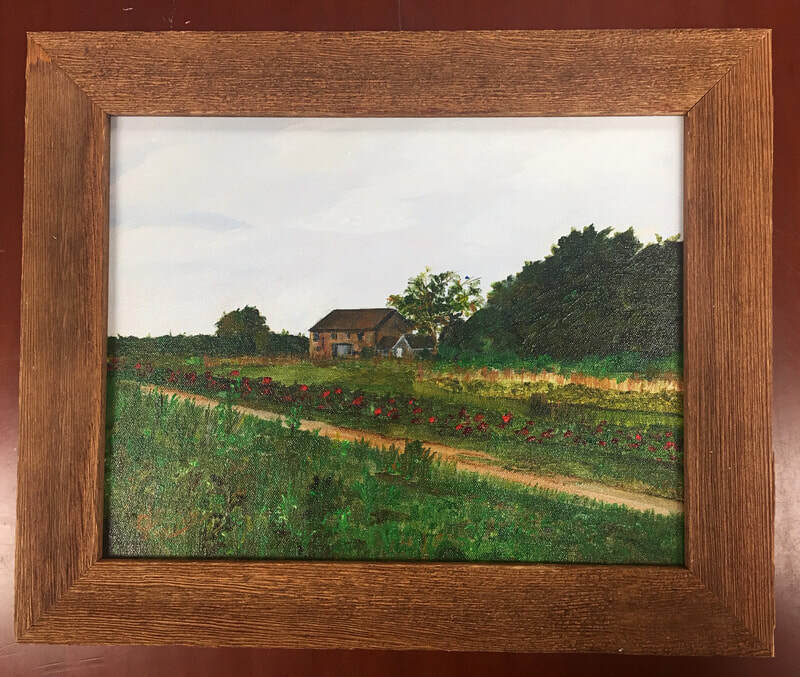 Just how important is CUSTOM FRAMING? We think it makes all the difference! We can frame anything at our studio! Just stop by anytime we are open and we can help you! 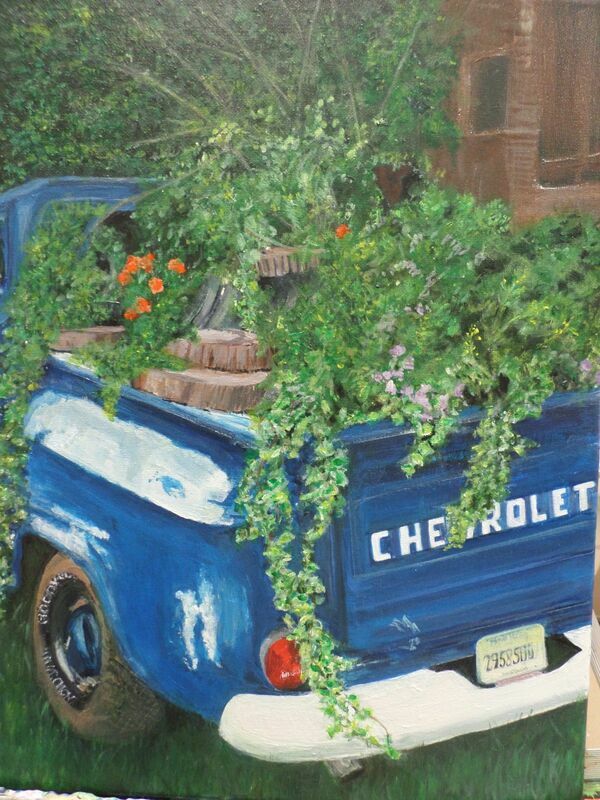 It can be a painting you have created during an art class here or something you have at home! 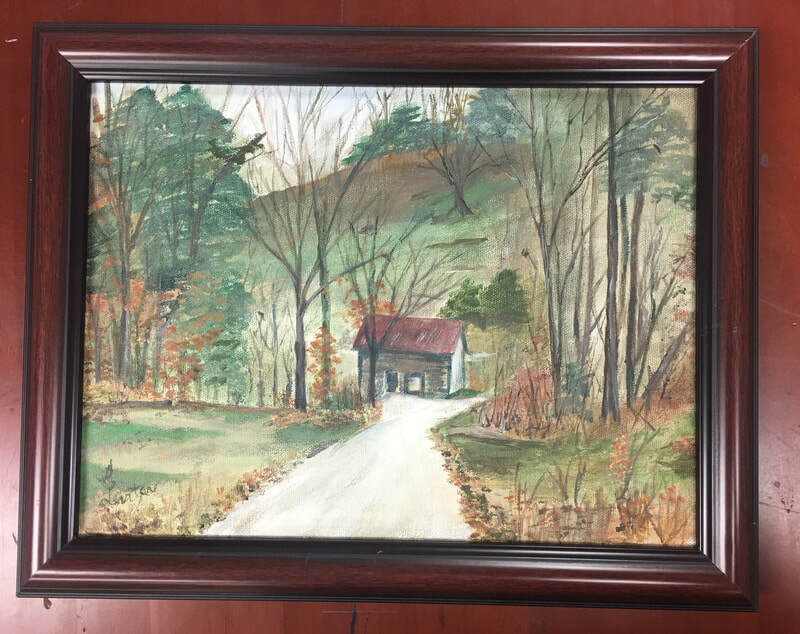 Learn more at our custom framing page. There is no better way to display your photographs, paintings, drawings, memorabilia & more than with a custom frame. Our specialists will help you to choose a mat, frame or whatever else you need to accentuate the piece you are framing. We have a range of affordable to luxury frames to choose from...making sure we have something in your price range! Just let us know what you are looking for. Each month we will feature a different artist/student. This month we are featuring Esther Scholssberg's Girl with Curls (pictured below, right) inspired by artists Henri Matisse and Avi Ben-Simhon. 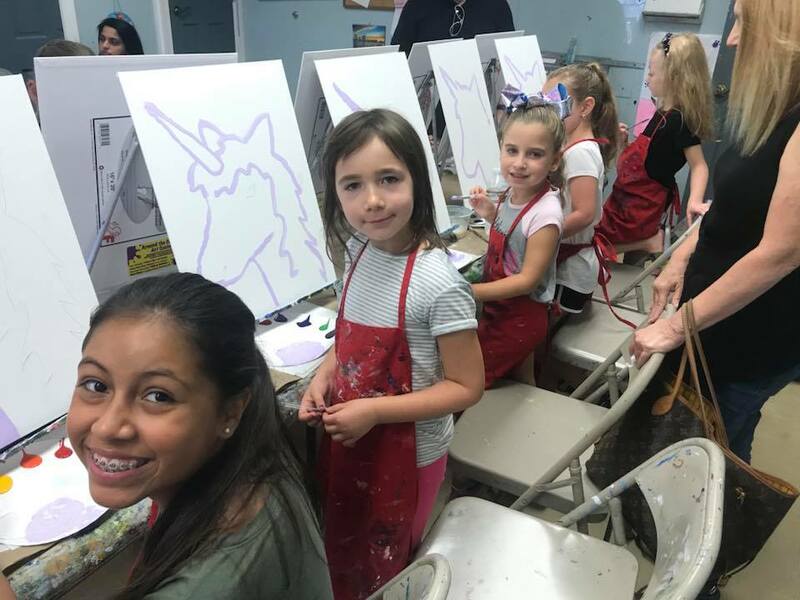 Painting Parties are the MOST fun! 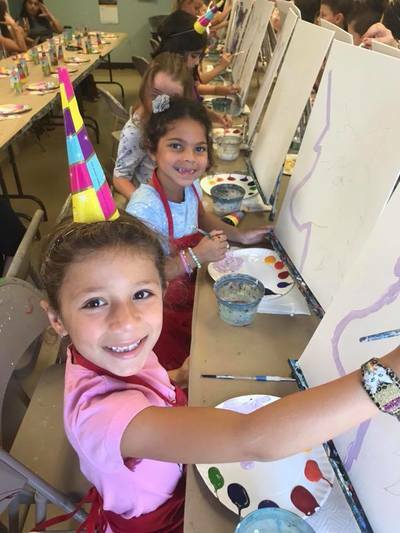 We host painting parties every weekend, and we have the best prices in town! A two hour party for 10 is only $250!!!! Choose any painting on our website, in our studio OR that you find online! We will be happy to paint anything your child wants. 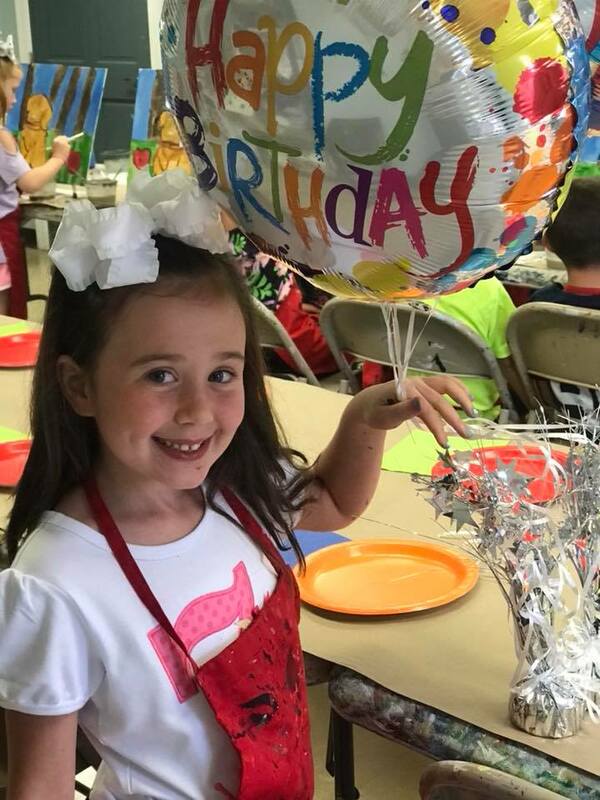 Click here to learn about all our party options, and call us at 732-308-4666 to book your party today. And... a very HAPPY BIRTHDAY to our artists! As the wild ride of the 1960’s came to a close, Eva Hesse, a 34 year-old German-born American artist was cresting the wave of a swiftly rising career. One of the few women recognized as central to the New York art scene, she had over 20 group shows scheduled for 1970 in addition to being chosen for a cover article in ArtForum Magazine. Her work was finally receiving both the critical and commercial attention it deserved. When she died in May, 1970 from a brain tumor, the life of one of that decades’ most passionate and brilliant artists was tragically cut short. Eva Hesse deepens the understanding of this extraordinary artist, not only in terms of her ground-breaking work, but also the life that provided the fertile soil for her achievements. With dozens of new interviews, high quality footage of Hesse’s artwork and a wealth of newly discovered archival imagery, the documentary not only traces Eva’s path but engages in a lively investigation into the creative community of 1960’s New York and Germany. Directed and produced by Marcie Begleiter. (Taken from PBS website).